Produced by David Bowie & Mick Ronson, also handling guitar duties on all songs, Transformer is Lou Reed's 2nd solo album, but the 1st containing new songs (his debut consisted reworks of songs he wrote in his Velvet Underground days). "Walk on the wild side" became a worldwide hit, despite (or because) its lyrics: the single was edited or banned in various countries. 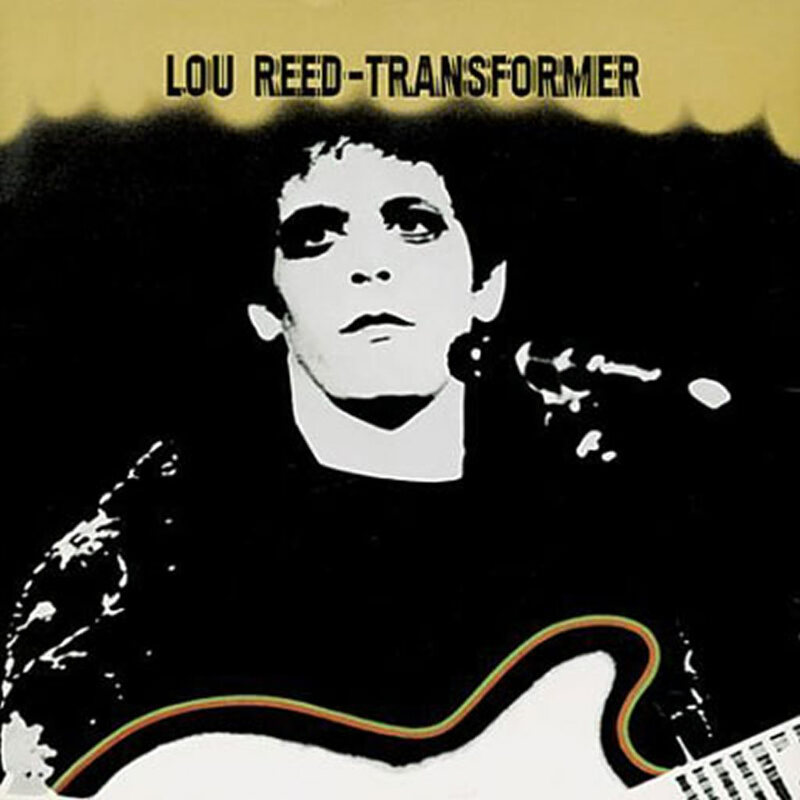 Transformer is considered Lou Reed's signature album and includes his most known songs as "Satellite of Love", " Vicious" (inspired by Andy Warhol) and "Perfect Day". Rumours has it that, though not credited on the album, "Wagon Wheel" is actually written by David Bowie. Transformer ranks the Top 100 of various "Greatest Albums of All Time" lists in the U.K. (NME, Q,HMV) and Top 200 from Rolling Stone Magazine. 5. "Walk On The Wild Side"
4. "New York Telephone Conversation"